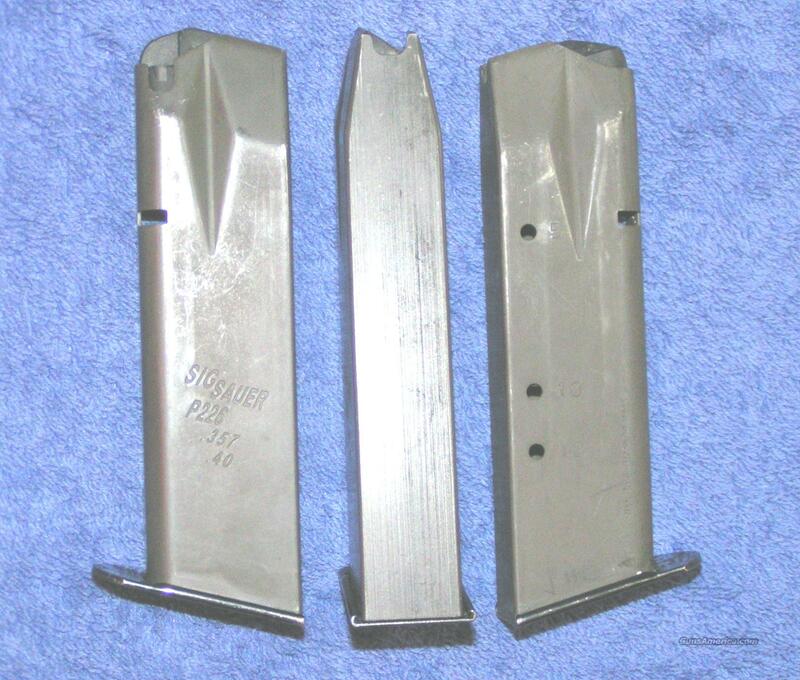 Description: Three used factory Sig mags for P226 40 and 357. Guaranteed to fit and feed or your money back. 12 round capacity. Factory Sig. Body stamped " Sig Sauer P226 .357 .40" and " Mec-Gar Made in Italy". Price is for a group of 3 mags similar to those in photo. More might be available at the same price. I accept all credit cards, also cash, personal checks, company checks, money orders, cashier's checks and bank checks. No credit card fee. Stock photos. $5 shipping. Florida residents add 7%. I combine shipping. Rich.